Bend and Flex Protecting Cable Gland with NPT Connection Thread ! 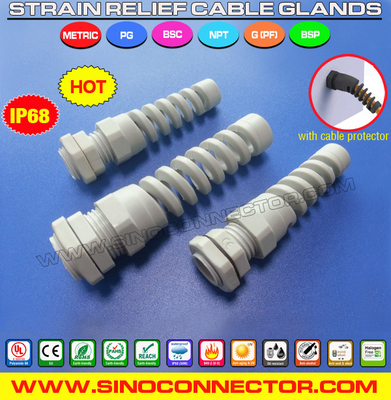 Bend and Flex Protecting Cable Gland with NPT Connection Thread offers excellent cable protection against excessive twist at the bending point to reduce the risk of break to avoid electric leakage. 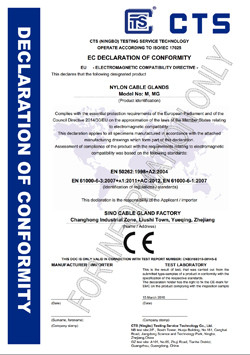 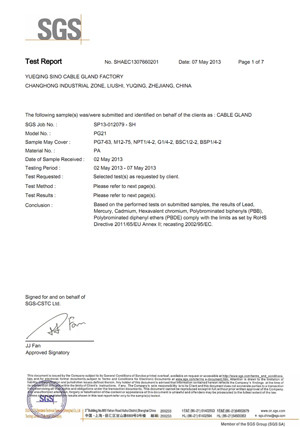 With the characteristics of strong tensile strength, high sealing & anti-bending performance, good security and stability, Bend & Flex Protecting Cable Gland with NPT Connection Thread is widely applied for connecting and fastening cables or wires to provide effective protection against dust, water, oil, weak acid, alkaline, alcohol, solvents in the fields of electrical and electronic technologies, moving machineries, telecommunications, network communication, automatic control, power supplies, switches, motors, distribution boxes, solar PV modules, Inverters, lightings, displays, traffics, signals, surveillance cameras, plant engineerings, installations, meters and instruments, etc. 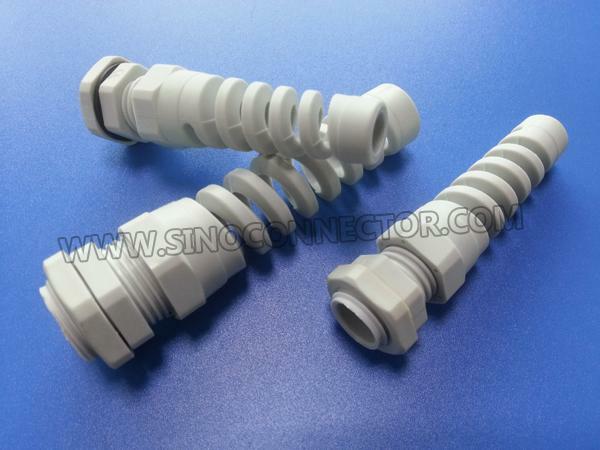 Sizes available: * NPT1/4", NPT3/8", NPT1/2", NPT3/4"
Raw material: UL-approved new Polyamide 66, flammability 94V-2 for Spiral Protector, Locknut & Body (contact us for 94V-0 material).